With the constant negative media focus on high-rise projects and the poor design of some apartments I thought it an opportune time to focus on a practice working at a smaller scale and with an impressive growing body of work: Fieldwork. A few weeks ago I had the opportunity to meet with Fieldwork and Assemble Directors Ben Keck and Quino Holland at their studio in Northcote, to discuss their ever expanding portfolio and design philosophies. 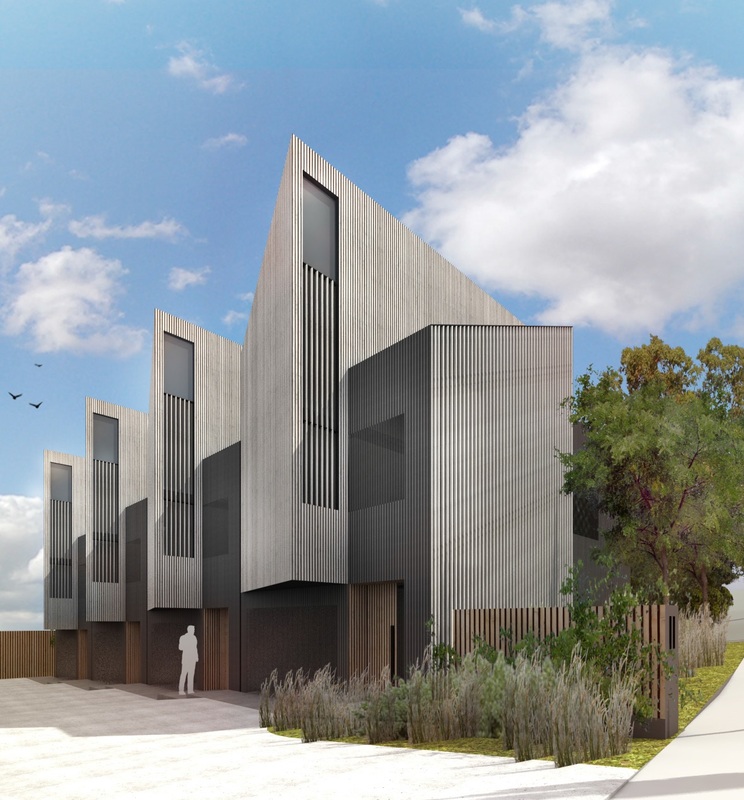 I was initially drawn to their work from an aesthetic point of view: the practice employs a diverse palette of materials turning their back on the painted precast panels prevalent in a large proportion of current developments around Melbourne. Instead they have a preference for warm timbers, brick, vegetation and light filled interiors. Particular care is given to the inhabitants of their projects with the provision of quality resident amenity a key driving factor in their work. Fieldwork also doesn't shy away from a more modest scale of living, seeing it as an opportunity to live comfortably rather than a compromise on living quality. I have always been of the view that city and inner ring apartment sizes can be smaller so long as they are well-considered and afford their residents a high degree of amenity in the form of ample natural light and ventilation. Theses areas are generally well serviced by public transport, supermarkets, shopping strips full of cafes, bars, restaurants and other ancillary services. 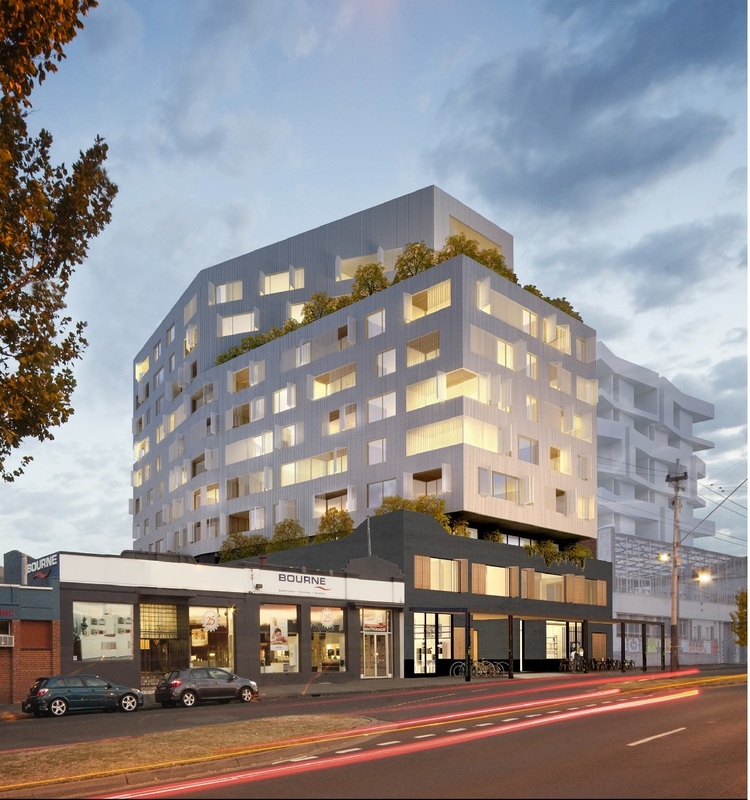 Established in 2013, Fieldwork has already been appointed to a number of significant projects including a 76-apartment, eleven level residential building in North Fitzroy, a 91-apartment seven level residential building in Brunswick, a nine level residential building in the CBD and various townhouse projects in Richmond, Preston, Armadale, Parkville, Brunswick East and Forest Hill. For the practice design is about aspiration and practicality: an optimistic view in which things can be made better through design. Through creative yet systematic solutions, the built environment can be optimized for both functionality and enjoyment. Fieldwork believe in the value of good design and take great care in translating beauty and functionality into their projects. The design process starts with sound definition and analysis of the relevant questions and ends when the optimal resolutions through space, form and shape. The design for a 76-apartment, eleven storey multi-residential complex takes the form of a ‘lozenge’ shaped building which maximises views and natural light into each unit. The building is designed to a very high ESD standard - 4 star green star - and has an above-average energy rating at 7 stars. 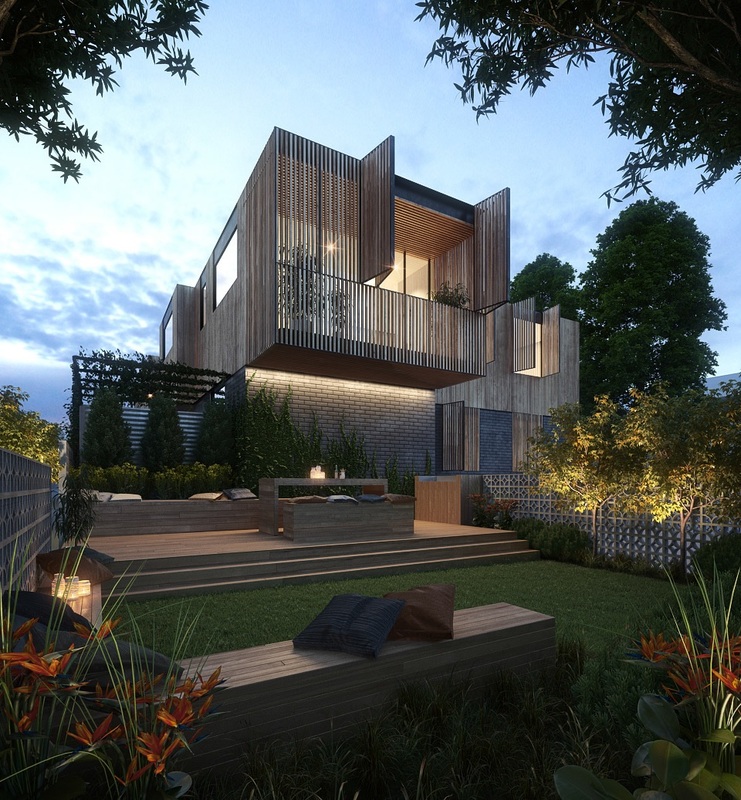 Generous private and communal decking draws residents outdoors, while natural timber cladding and planters soften the facade. An awning-sheltered retail or hospitality space is provided at the ground level, encouraging extension of public activity onto the street. 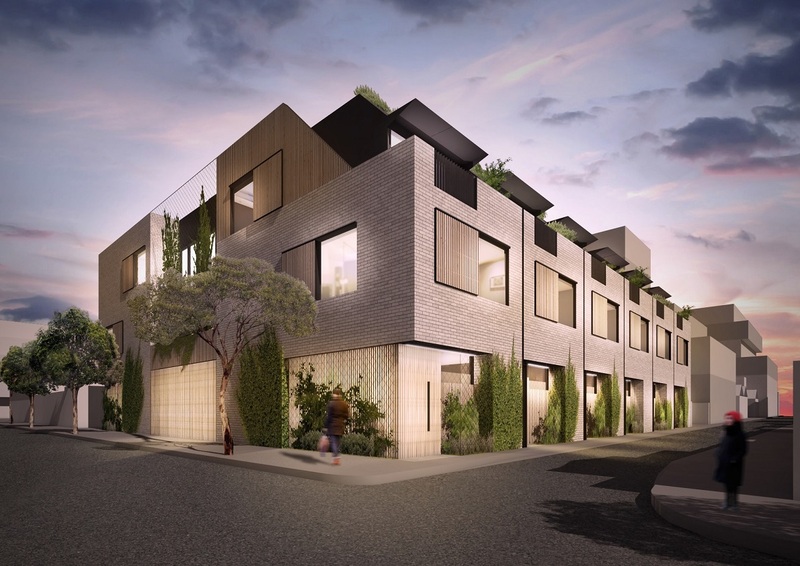 12 high-quality three and four-storey townhouses have been designed with a focus on natural amenity and inner-city green living. These walk-up townhouses feature roof terraces and views over the street, extending residents’ interactions with its outdoor environment and neighbourhood beyond. The design has a refined material palette of white brick, timber cladding, black steel and steel wire mesh screens to support the growth of vegetation over time. The proposed development consists of sixteen 2-level, 2 bedroom townhouses. The design rethinks the common approach of running a driveway down the length of the site, which typically results in a row of garage doors and almost one third of the site area being given over to cars. Instead, parking is placed below ground and accessed by a ramp. With this strategy, more space is freed up for use as a communal walkway and courtyard spaces. The front setback from Murray Road is designed as a communal garden space with a BBQ, bench seating and open lawn area for the enjoyment of all residents. This four townhouse development presents a highly site responsive design with a strong ESD focus, characterised by fundamental principles such as its strong emphasis on internal amenity, privacy, access to light and significant landscape planting. The site’s key natural asset, the neighbouring mature river red gum trees, have been echoed through the architecture both materially and spatially. A visually sculptural form has been created to imbue a sense of individual identity to each townhouse, while articulating and dissolving the overall mass. 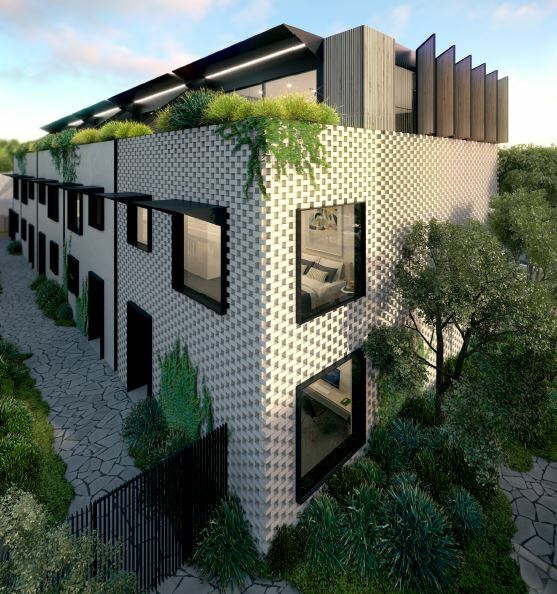 This six townhouse development draws upon the architectural character and materiality of post-war multi-unit developments in the surrounding suburbs. Its prominent street frontage is activated by hit-and-miss brickwork, which not only provides screening to ground floor windows but also acts as a textured backdrop to street activity. At night, this becomes a patterned illuminated façade. The upper levels are screened from the western sun via operable timber shutters. The Fieldwork directors are also the founding co-directors of Assemble, an architecture, design and property development company focused on small footprint projects. Assemble partners with developers to share and realise their vision for small footprint living. The company undertakes joint ventures with developers on projects which are co-branded and co-invested and for which Assemble provide architecture services, creative/marketing services and development management assistance. At Assemble, we believe that sustainability is as much about conducting our business with integrity and passion as it is about environmentally sustainable design. In addition to outlining what we stand for – our Assemble ‘brand pillars’ are below – we want to briefly share the context for our beliefs, the locally focused but globally engaged thinking that has sparked the foundation of Assemble. Currently, Australian homes (houses and apartments) are the largest in the world. At an average of 214 square metres, they are 10% larger than the average 195 square metre McMansion in the United States and 56% larger than the average 137 square metre home in Denmark, the largest homes in Europe. While we’ve made significant inroads in our nation’s short history to embrace small footprint living, we still have a long way to go to embrace it fully like most countries have overseas. We love our country and we love our city. So, it’s part of our personal brief to have a positive impact on the urban, architectural and cultural fabric of both. As a result of this commitment, we seek to refocus the ‘Australian dream’ towards small footprint housing. In the spirit of fostering the culture of living closer together, Assemble also publishes Assemble Papers, an online publication for small footprint living, exploring culture, art, design, architecture, urbanism the environment and financial affairs. Over time a number Assemble Papers articles will appear on Urban Melbourne across a range of topics from micro apartments to the apartment guideline debate. It's fair to say that the future aspirations of Urban Melbourne aren't too dissimilar to the ongoing work of both Fieldwork and Assemble.